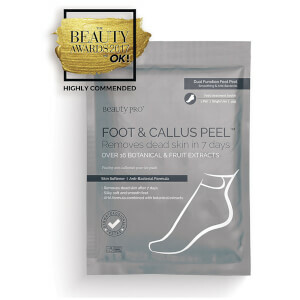 This product is THE PEEL for a hard skin purge! I allow myself 10-14 days before showing tootsies in public - if as like me you have a lot of hard dry skin, the shed is fairly serious. I do it monthly now for ongoing maintenance. I sometimes wear a soft or loose sock over product sock to ensure the liquid gets smooched around my whole foot and keeps my feet warm! All the better for maximizing on the product effect! Tried the Silky Foot Mask Sheet (pink packet) twice as a complementary top up inbetween mask, it is a nice light moisturizing foot sock if that's all you need. 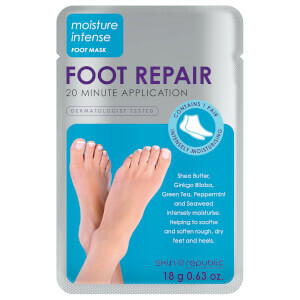 Nice for a light one morning x mins - make feet feel better after a night on the town type of thing. Felt more liked I'd lightly misted feet with oil though and most of the liquid was absorbed by my feet. Not the deep moisturizing treatment, I think I might actually need, but a reasonable Foot Mask for the price. Wow! They worked exactly as it said! Wear for 1hr 30mins and Peel started on day 4. On Day 7 and feet so much improved and still shedding. I’m buying again as reckon I could use another shot in a months time, will now be part my foot care/maintenance regime!